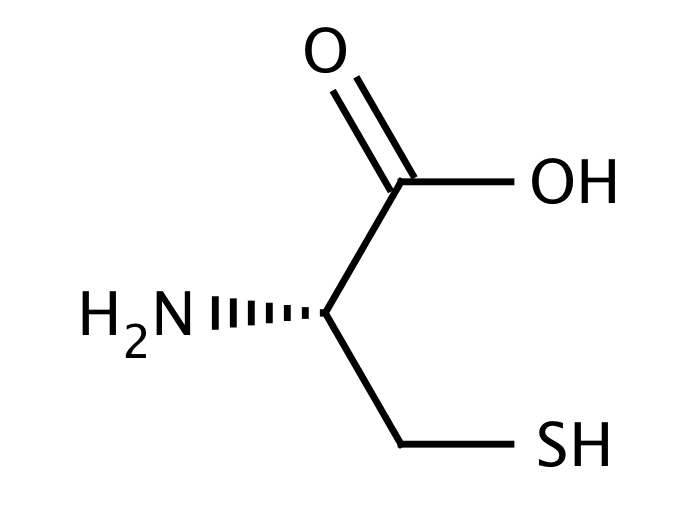 Cysteine is a semi-essential proteinogenic amino acid with the formula HO₂CCHCH₂SH>. It is encoded by the codons UGU and UGC. The thiol side chain in cysteine often participates in enzymatic reactions, as a nucleophile. Send us your enquiry for L-Cysteine. We offer custom pack sizes at special prices. We aim to respond to your enquiry within 24 hours. We value your input so if you have suggestions regarding new applications for L-Cysteine email us and we will include your contribution on the website.